Arch pain can occur for a variety of reasons. People with flat feet may experience arch pain due to a lack of support or over pronation. If you have a high arch, you may be placing too much pressure on the heel and ball of your foot causing additional strain when your foot absorbs impact. 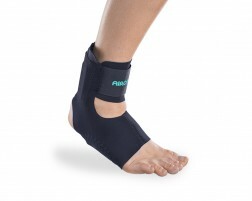 Arch pain can also be caused by a more serious condition like plantar fasciitis which is an inflammation of the connective tissue that goes from the ball of your foot to your heel. A few ways to manage arch pain is to wear orthotics to provide the correct amount of support for your arch, where a compressive sleeve to improve circulation and ease pain, and stretch and use ice therapy for relief. Shop our recommended solutions for arch pain or use our guided tool, Brace Advisor, for recommendations based on the type of arch pain you have or injury you are trying to prevent. How do Supports for Arch Pain Work? Arch pain is the term used to describe an inflammation injury that occurs under the arch of the foot. The arch of the foot is formed by a tight band of tissue that connects the heel bone to the toes. 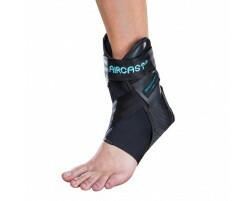 This band of tissue is important in proper foot mechanics and transfer of weight from the heel to the toes. When one has arch pain they usually have inflammation of the tissues within the mid-foot. This irritation can cause even simple movements to be quite painful. Wearing arch supports when walking can help support the foot as your body's weight is transferred from the heel to the toes, which will help alleviate arch pain. 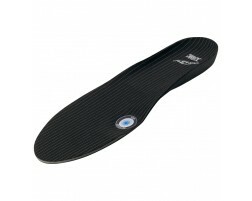 Most arch pain supports can be worn with your regular shoes, which makes them extremely comfortable to wear. Some doctors may even recommend cold therapy for arch pain to help the tissues in your foot recover.